WHY DID WE CREATE THE STARTUP LAB? 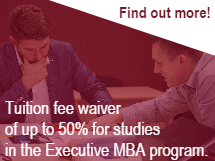 Many students come to Riga Business School with ideas for businesses and a passion to start their own for – profit or social impact ventures. With this course we aim to further motivate students to develop new employment opportunities and facilitate their activities throughout the venture – creation process. We strongly believe that the course is also valuable for students who are not necessarily aiming to run their own businesses. The course grows entrepreneurially minded students. This means developing customer focus, stimulating creativity, and developing problem solving capabilities. It also boosts students’ abilities to make sound decisions and to take ownership of the decisions they make and execute. In addition, the disciplines of business strategy, marketing, management, finance, research and operations are tied together in a practical and applied way. The course shows our belief that learning does not end when students leave the classroom. The first 4 months of the course (semester I) are dedicated to solving real life regional business challenges. Second half of the course (semester II) is dedicated to facilitate students in their venture – creation process. Throughout the course students get both classroom support (lectures, status update meetings) and support from individual team mentors. The course is based on the strategic management template ‘Business Model Canvas framework’. In addition, students are introduced to ‘Lean Startup’ methodology and its application to validated learning principles.